Why Use a Mountainscape Buyer's Agent? 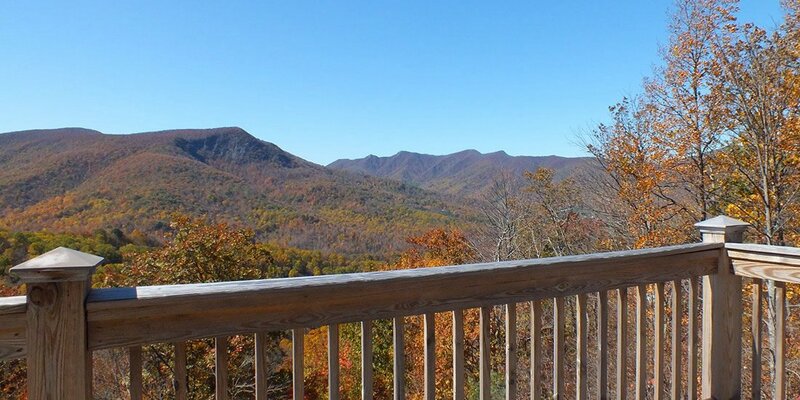 If you are currently thinking about purchasing a mountain home or mountain land in the North Carolina High Country please review the following ten compelling reasons to consider using one of our experienced Mountainscape Buyer's Agents to represent you. Listing Agents enter into legally binding agreements that require them to ALWAYS act in the best interest of the Seller. They are the Seller’s “coach” and will make sure that their clients’ best interests are looked after. Luckily, as your Mountainscape Buyer’s Agent we are there to make sure YOUR best interests are represented. Remember, as your Buyer’s Agent we have a legal and ethical obligation to put your interests first. While driving throughout the county is great to help you decide which locations you prefer, it’s not a very efficient way to find your new property. Gas is expensive, and your time is valuable. As your Buyer’s Agent we will listen to your needs, make suggestions based on your likes & dislikes, and provide you with a comprehensive list of properties that match your needs. In addition, we will help you better organize your search & decision making process – saving you valuable time! The Multiple Listing Service (MLS) is a powerful tool developed by and for Realtors. It is an extensive database of all the property currently listed by Realtors, and represents roughly 99% of all real property for sale in our market. As a Mountainscape Realtor we have full access to the MLS. This allows us to retrieve additional real time information which is not available on public websites such as the property's availability status, how long the property has been listed, extensive details on the property, recent price changes, directions to the properties, as well as important disclosures regarding the property. As your Buyer's Agent we have an obligation to show you the entire inventory of properties available in your area, including those in the Multiple Listing Service, for sale by owner (FSBO) properties, bank-owned properties, auction properties, and even new construction. The MLS maintains an extensive record of all prior sales including the asking price and the final sales price. With this information, your Buyer’s Agent will run a Comparative Market Analysis (CMA) to determine a prospective property’s Fair Market Value (FMV). In simpler terms, your Buyer’s Agent will look at similar homes in the same area that have sold recently. This way, you will know whether or not the seller has their property priced fairly. If the property is priced over Fair Market Value, your Mountainscape Buyer’s Agent can present your lower offer with plenty of firepower – and a greater chance that the offer will be accepted. In addition, at Mountainscape we work together as a team to represent your interest. As we have a large team of Buyer's agents, there is a good chance that one of our team may have additional information on the property that may interest you. As the Firm has agreed to represent you, all agents within the Firm are obligated to share that information with you and your agent. The average person buys 3-5 homes in their lifetime. A good Buyer’s Agent will assist in 3-5 home purchases every month. What might seem complicated and intimidating to you is fairly common and familiar to your agent. Your Mountainscape Buyer’s Agent will know what to expect, and will know when to alert you if anything out of the ordinary occurs. It takes a lot of people to close a real estate transaction. Mountainscape Buyer's Agents each have a network of real-estate-related experts who have done quality work for their clients in the past. This network may include attorneys, mortgage professionals, appraisers, surveyors, engineers, architects, contractors, and home inspectors. Your Mountainscape Buyer’s Agent will be able to recommend and coordinate the services needed to make your purchase a smooth transaction. Your Mountainscape Buyer’s Agent can assist you in evaluating possible financing alternatives and go over the many additional costs associated with your purchase. In addition, your Buyer’s Agent can assist you in determining your price ceiling based on your financing options. They can also recommend local banks, mortgage brokers and other professionals that may be helpful. Like any other real estate fee, the fee for a Mountainscape Buyer's Agent is usually built into the purchase price of a property and disbursed at closing. In most transactions, the Listing Agent agrees to split his fee with a Buyer’s Agent. Hence, there is generally no additional cost for a Buyer to use a buyer´s agent. As a matter of fact, several studies suggest that professional buyer's agents help buyers save both time and money. If you are like most people, your home is the largest purchase you will ever make. The average person spends around 1/3 of their total monthly income on their home. This is a big decision and you don’t want to go at it alone. When you use a trusted Mountainscape Buyer’s Agent, you know that your best interests are accounted for, and that you can feel confident in your purchase.